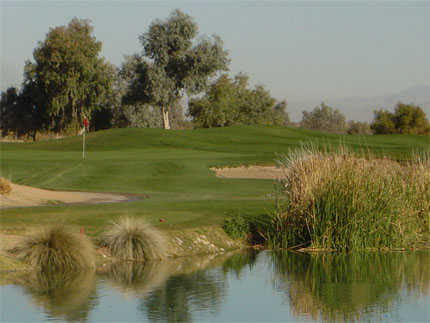 Situated just west of Phoenix in Litchfield Park, Falcon Golf Club is surrounded by the Estrella and White Tank Mountains. Nearly every hole offers beautiful mountain views. The course has a player-friendly design that still has plenty of variety, which gives it appeal to a wide range of skill levels. 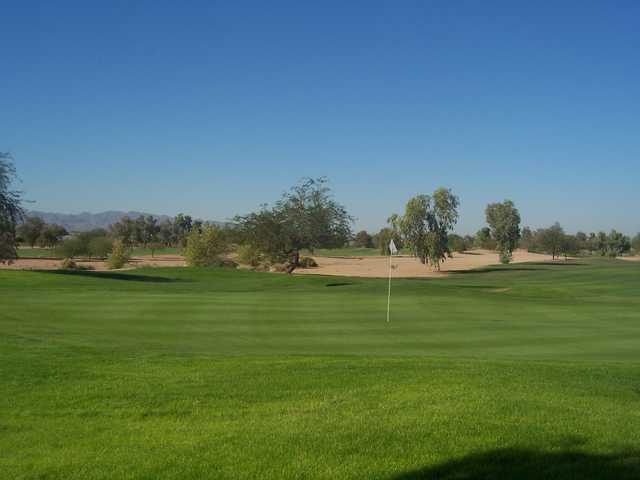 Situated just west of Phoenix in Litchfield Park, Falcon Golf Club is surrounded by the Estrella and White Tank Mountains. Nearly every hole offers beautiful mountain views. The course has a player-friendly design that still has plenty of variety, which gives it appeal to a wide range of skill levels. 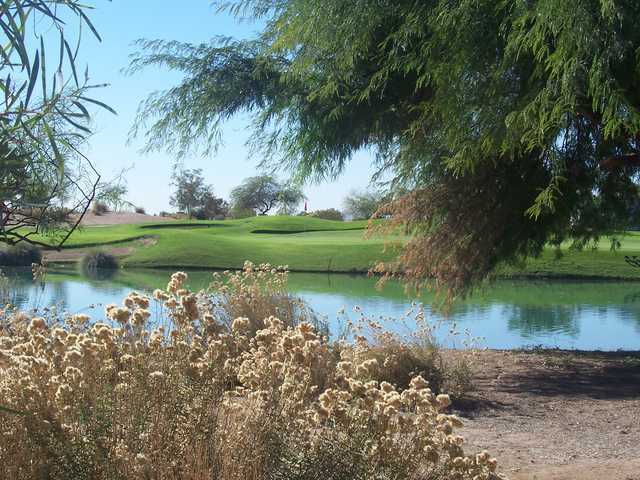 The target-style front nine is a true test of desert golf and the back nine features more trees and water hazards separating the greens and fairways. The back has a more traditional layout with heavier bunkering as well. At 6,733 yards from the back tees, Falcon G.C. has a length that is mild enough for beginners but enough challenges for more advanced players to enjoy. 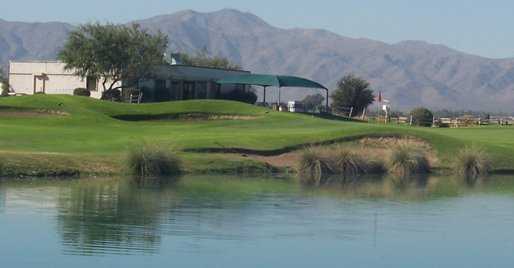 The playability makes it a great spot for tournaments but locals favor it for the affordable prices. Dress code: No tank tops or cutoffs. I'm new to golf...and I generally enjoy every course I play at. I liked Falcon Golf Club for a few reasons, one the cost. Second, the proximity to Luke Air Force Base! It's so COOL to see the F-16's flying, landing, taking off...WOW! However, due to the fact that the cart paths are not quite "there," I gave this course 3.5 Stars. Install a COMPLETE cart path around the ENTIRE course and I'd give this course 4.5 stars!